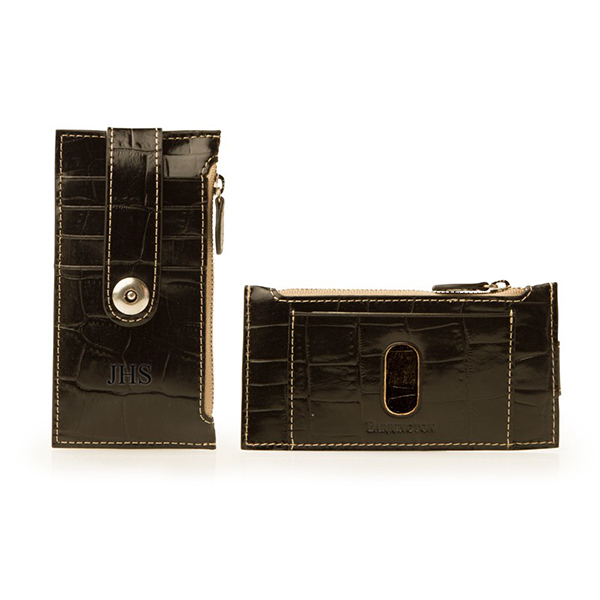 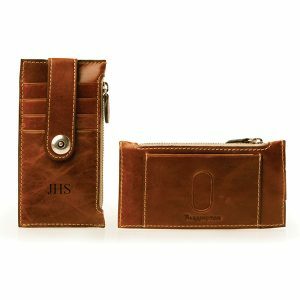 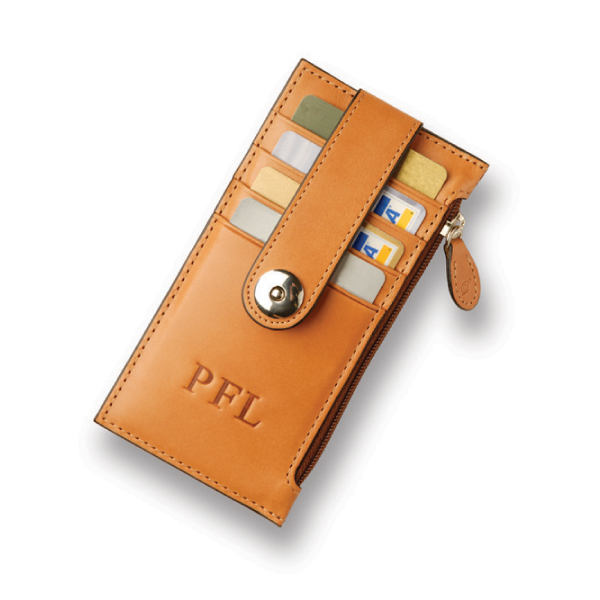 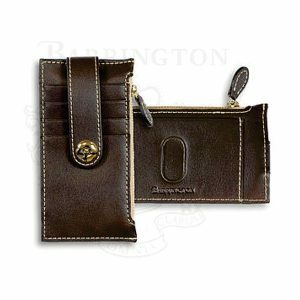 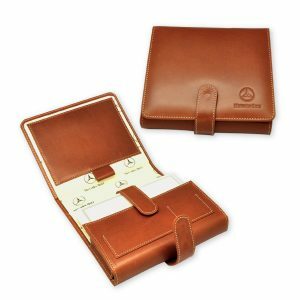 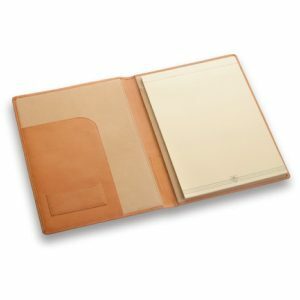 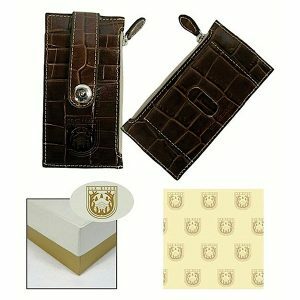 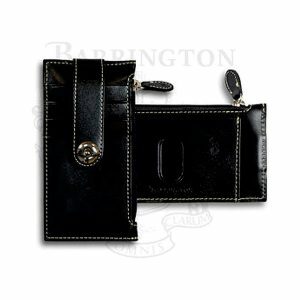 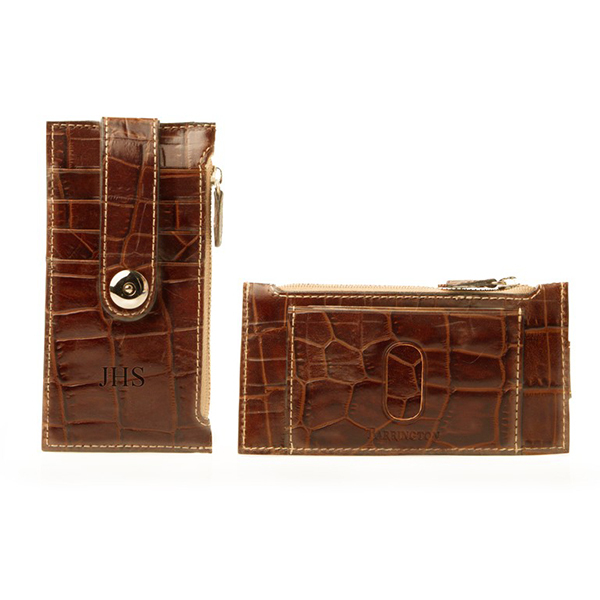 Designed for the active woman, this unique leather wallet has four card slots with a leather strap closure to hold cards in place, an easily accessible ID pocket and a zippered pouch to hold cash or coins. 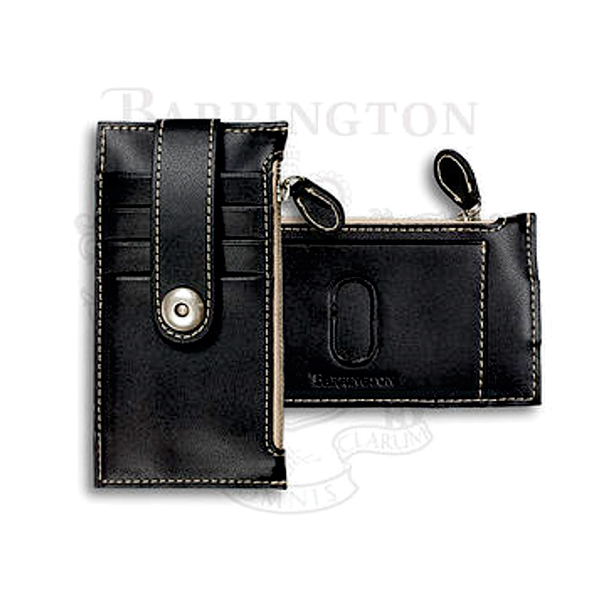 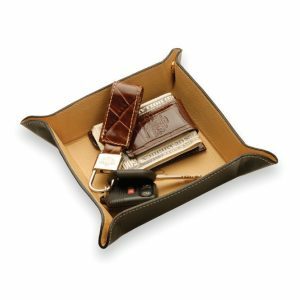 It comes in several premium leather options, with a neutral microsuede interior lining. 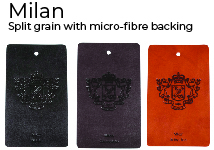 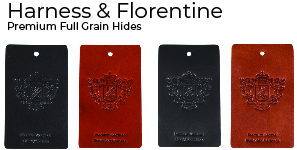 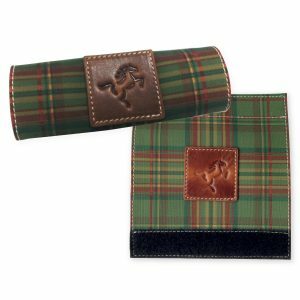 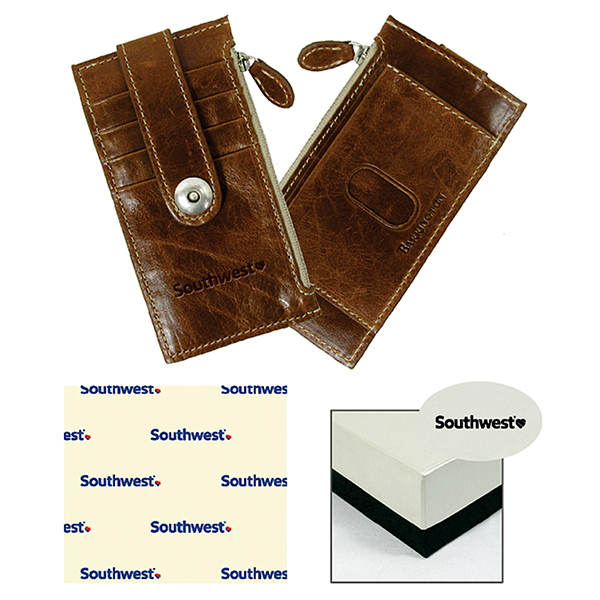 We can deboss your logo into the leather to make it unmistakably yours. Size: 15 x 7 x 1.6cm.